Hello beauties! This post was long due and finally I got my lazy bum moving and I am writing about these lippies for you all now. 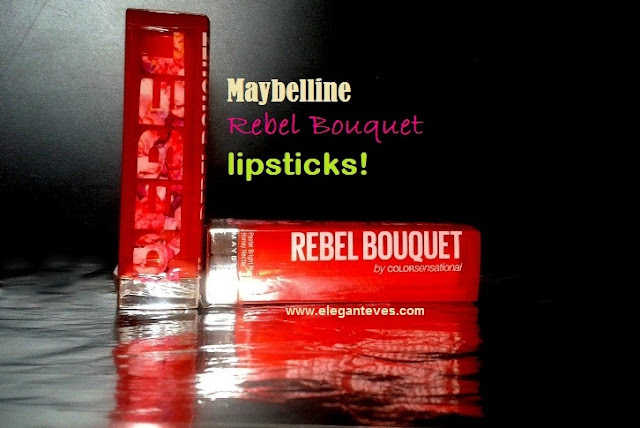 I had received the all new Rebel Bouquet collection from Maybelline and was happy-dancing at the gorgeousness of the goodies! You can read the First Impressions Post by clicking here. Let’s see what Maybelline has to say about this range! “ Meet the new sensation in town! 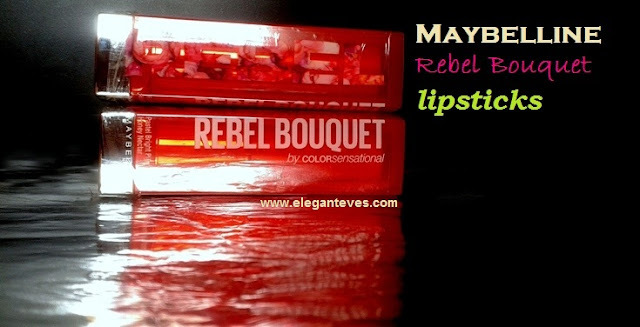 The word rebellion gets a new meaning and look with the new REBEL BOUQUET Collection from Maybelline. 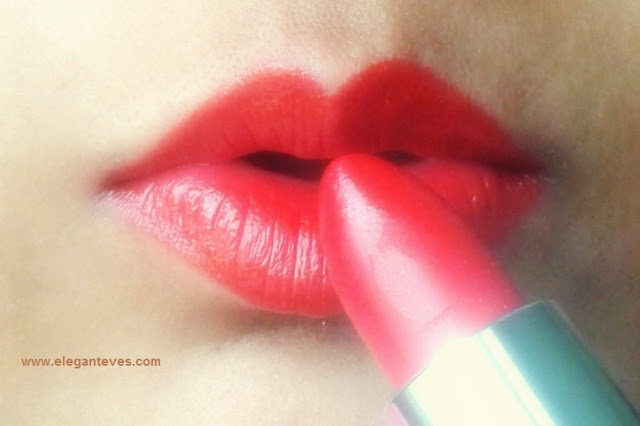 Give your lips that sensational boost of colour. Contains super saturated pigments to give you a bright kick of colour. The Colour Bloom Technology with Honey Nectar formula makes the texture feel Creamier and Softer on the lips. Go rebel with bright and bold collection of lipsticks with this REBEL BOUQUET collection from the house of Maybelline. This post is about the two lipsticks REB01 and REB02 and I shall be covering the two nail paints in my coming posts. 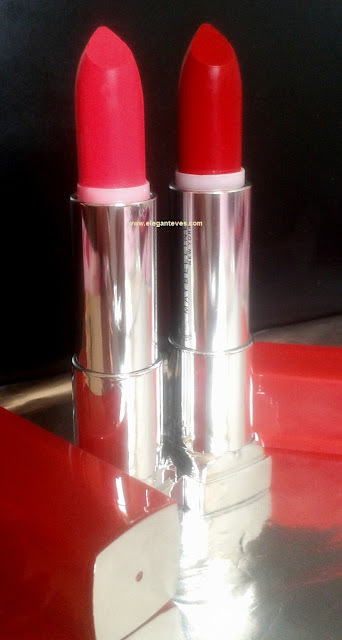 My views: I have always been a fan of Maybelline lipsticks. Be it pigmentation, or smooth texture or the variety of colors! Maybelline has always impressed me in every field! 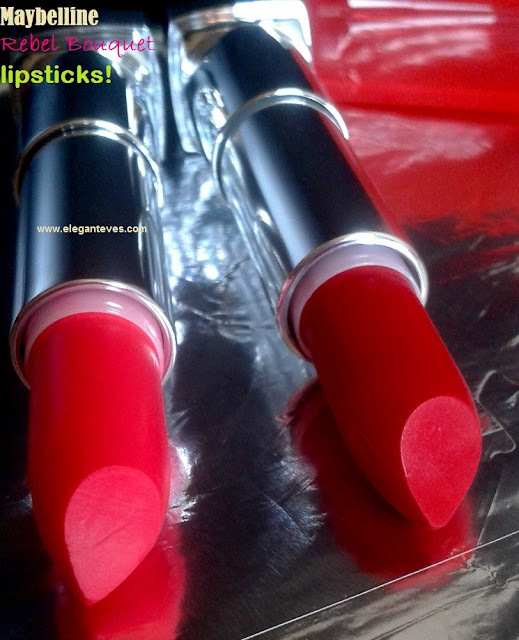 So naturally, when I received these lipsticks for review and consideration, I was more than happy. The new Rebel collection also has similar packing of their Bold Mat range. The shades are very bright, cheerful and “chirpy” colors! 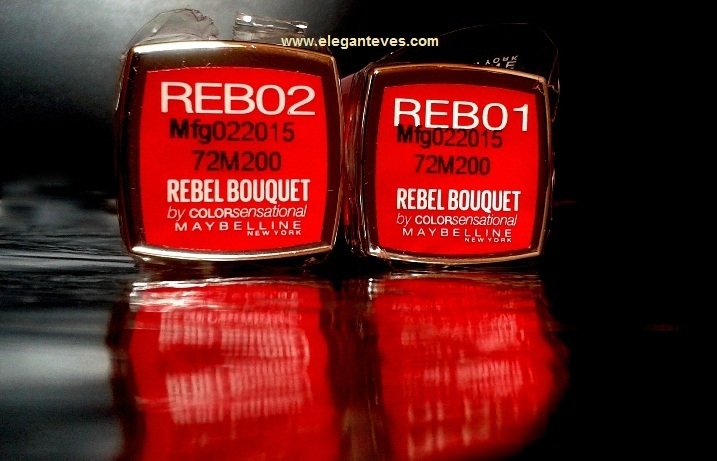 REB01 is a true red which looks sort of cherry-red on the tube but comes out more warm red on lips. This is the kind of shade which would suit all complexions and would act as an instant “Face Brightener” ;) [Warning: I do NOT mean that this should be used as a highlighter!] Hehehe! Jokes apart, this kind of red will truly flatter every skin tone and not look garish. 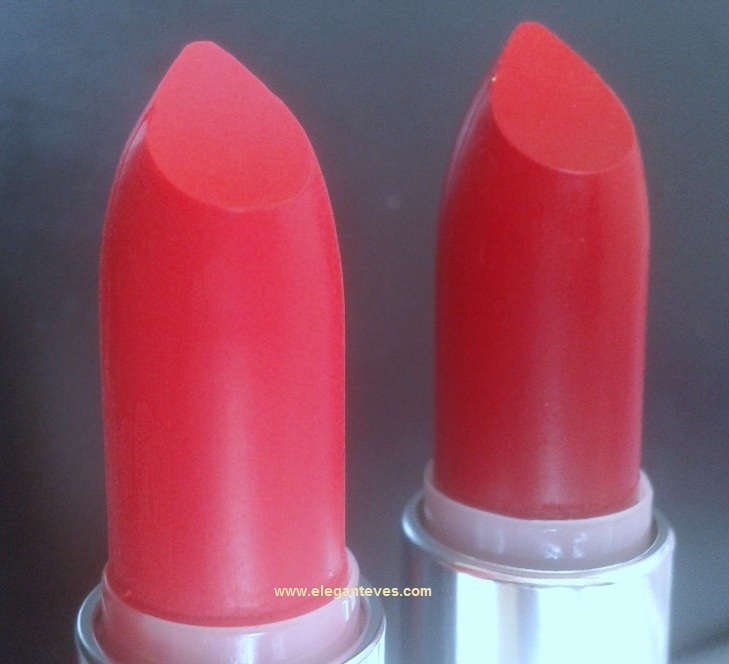 The texture of both these lipsticks is glossy when applied on lips and it settles down to cream-sheen. If we blot it after application, we can reduce the glossiness without hampering the color because pigmentation for both these lipsticks is AWESOME! The application is also a breeze because it’s very buttery-smooth. I didn’t have to apply any lip balm before applying these lipsticks. As far as staying power goes, they stayed on my lips intact for 4-5 hours after which there was slight fading. But on days I decided to go “nom-nom-nom” with food, they lasted for lesser time. Nevertheless, there was a string and beautiful tint even after heavy meals. Have a look at the swatches! 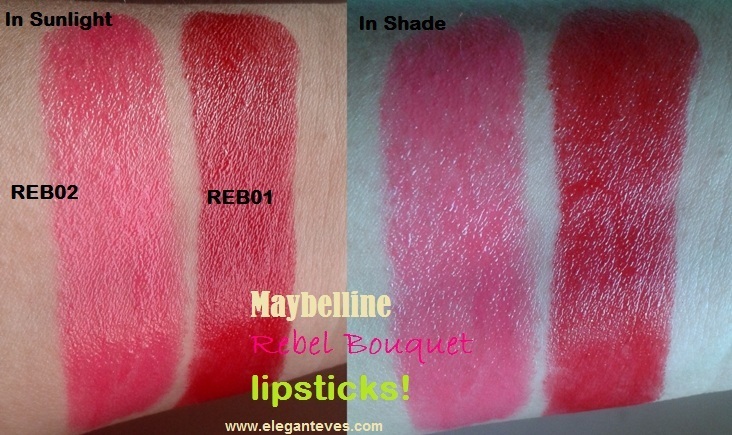 Recommendation: Maybelline Rebel Bouquet lipsticks are perfect budget-friendly bright lipsticks to own. The smooth texture will make it a favorite for those with dry lips too. The shades would flatter all complexions and brighten faces. Thumbs up from Elegant Eves!